Cambridge College’s Springfield location has been a gateway for adult learners in the Western Massachusetts and Greater Hartford areas since it opened its doors over 20 years ago in the heart of downtown Springfield. Our programs are designed specifically busy adults – people who are juggling the multiple responsibilities of family, work, and life. By combining superior education with expert faculty and a multi-cultural, multi-generational student body, our Springfield campus offers you a unique, affordable and relevant college experience that fits your busy life. Why Cambridge College - Springfield? Several MBA programs, including a specialized MBA in Healthcare Management. Students from throughout the Springfield and Greater Hartford areas attend classes at our Springfield campus. 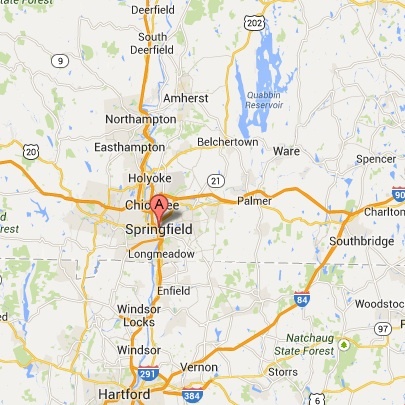 Areas of service include: Chicopee, Easthampton, Hartford, Holyoke, Northhampton, Windsor Locks, and Springfield.